The mid-1800s tale introduces Charity Morgan, a beautiful yet businesslike young heroine whose devout religious community is losing its Pennsylvania homestead to the economic recession. 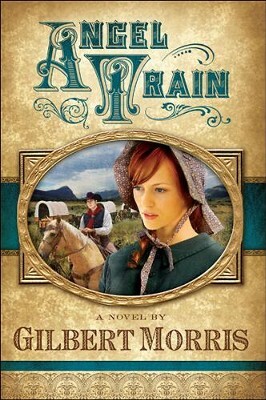 To survive and stay together, the members plan to form a wagon train to Oregon where free land is aplenty. The only catch is that no wagon master is better equipped to lead them safely out West than inmate Casey Tremayne and his band of fellow felons. After Charity's prison warden uncle offers the men parole upon completion of this sacred and dangerous journey, only divine intervention can bring all parties to common ground. I'm the author/artist and I want to review Angel Train - eBook.